Inchworms are familiar to most of us. But I'm not sure if most of us know "what" they are. They are the caterpillars of moths in the family Geometridae. They are characterized by the way they move, inching or looping along. Most caterpillars have six pairs of thoracic legs just behind the legs, which corresponds to the adult moth or butterfly's six legs. They also usually have five pairs of prolegs, found towards the back of the caterpillar. 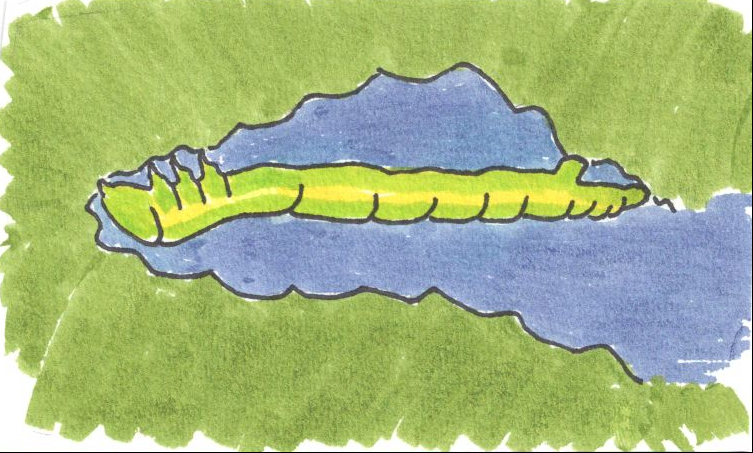 Inchworms have the six thoracic legs, but have only two, or sometimes two and a half pairs of prolegs (in either case the prolegs are lost when the caterpillar pupates and metamorphoses into the adult). 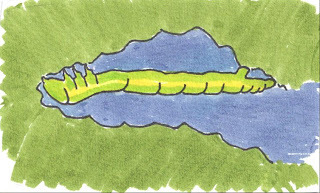 The fewer prolegs is what accounts for the inchworm's method of movement. Inchworms are masters of disguise. Many of them are cryptically colored in greens and browns. Some will hold their bodies to imitate a twig. 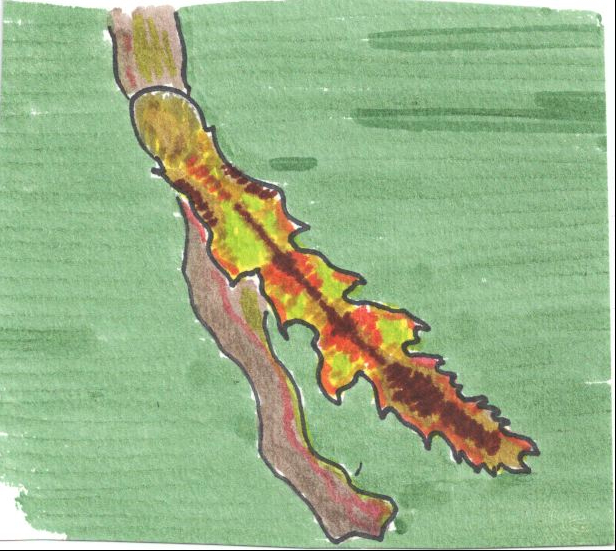 Others are shaped like dead leaves or other plant parts. It's easiest to find them by first looking for the holes they have chewed into the leaves of trees. A few species of inchworms will have outbreak years, where the population is so large that they cause significant damage to leaves of trees. Last year we had an outbreak of Cankerworms (an inchworm); they were so numerous in some areas that their frass (droppings) falling to the ground sounded like rain. As far as I've seen, most of affected trees recovered. They are not nearly so numerous this year, but still pretty easy to find if you look. The Cankerworm pictured below in Naomi's hand is one we found recently (more on Cankerworms in a future post). The next picture is of an inchworm that I have been unable to identify using either the "Caterpillars of Eastern North America" by Davis L. Wagner or the "Moths & Caterpillars of the North Woods" by Jim Sogaard. Pictures from these two books provided the basis for my sketches in this post.